The first gang is from drama Decoded: Cheney Chen, Ying Er, and Jing Chao. I love the splash of yellow and the nerdy glasses. 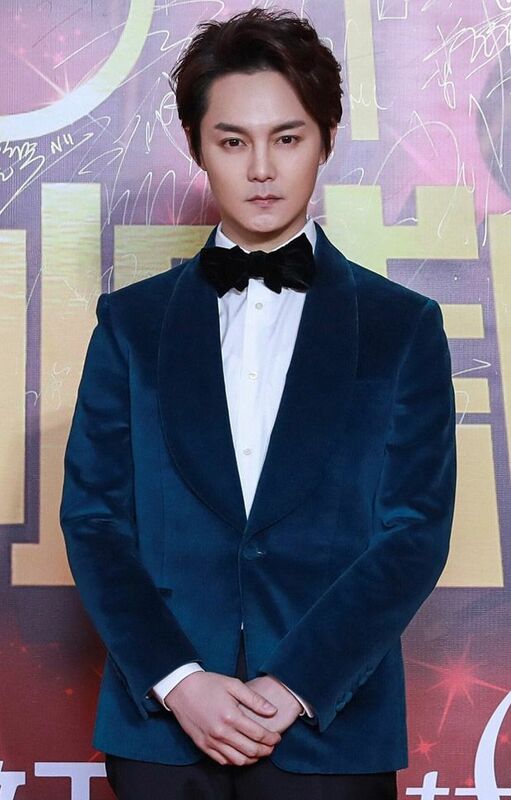 Jing Chao is looking masculine and much older than his age. 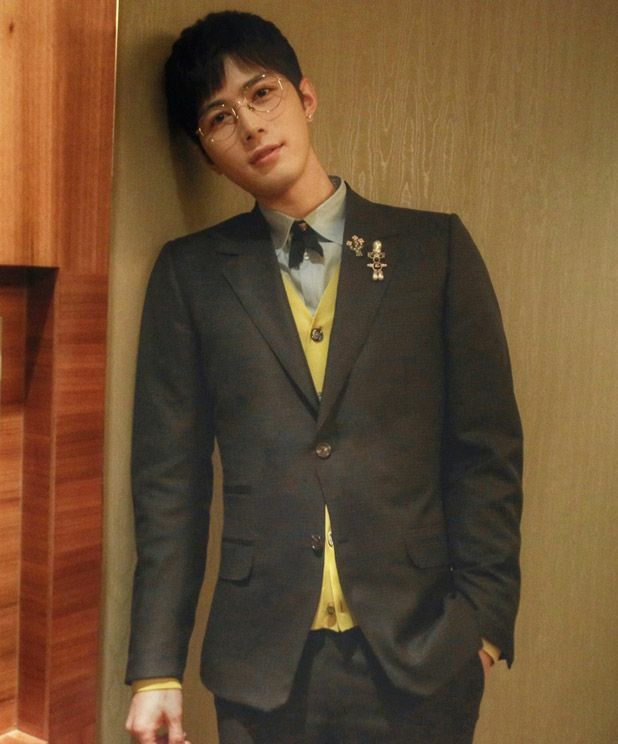 Zhang Ruo Yun looks broody in a patterned suit. Victoria Song in a deep V-gown that makes me worried! Nicky Wu and Chen Qiao En. She was also wearing two dresses. I like this one below better! Chen Long and his wife, Zhang Ling Zhi. Oh I like this one too! Ma Yi Li looking real edgy like fine wine. I honestly thought this was a vampire cosplay. 3 Cookies for those who recognized him instantly? No? 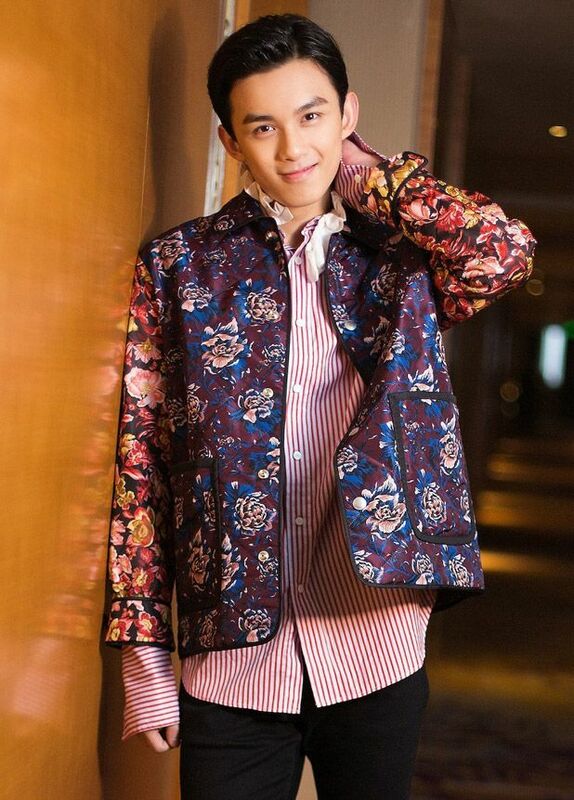 He’s singer Hua Chen Yu! Leo Wu Lei went through a garden on his way here…. and plucked up all the flowers. Now the crew of The Legend of Chusen. Let’s start with the leader of all shipping wars. Lol. 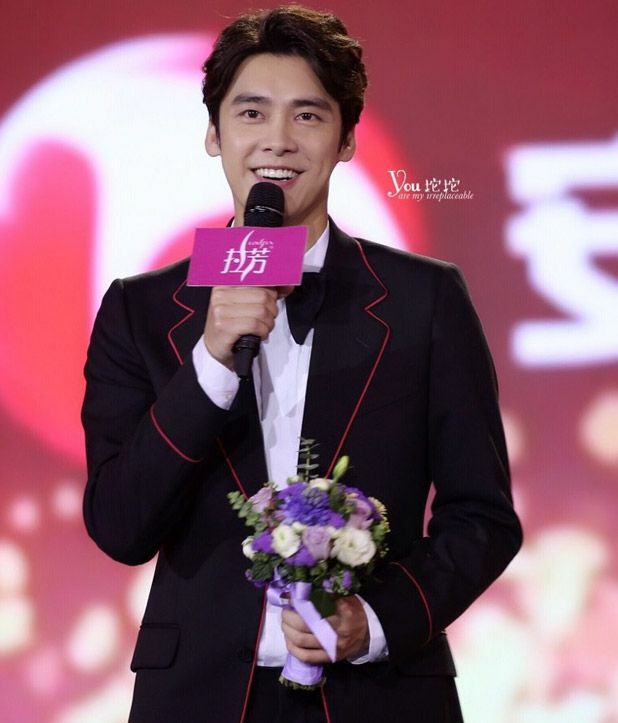 Li Yi Feng. Cheng Yi. He looks WAYYYYYYYY better in ancient costume and hair. 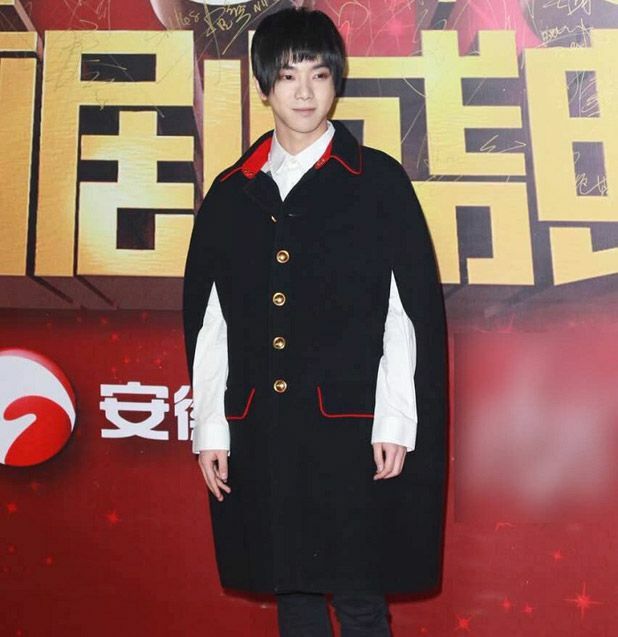 Aww, I love what Yang Zi had on today! She looks feminine and like a grown up lady. A softness that reaches out to you. The moment she cut her hair, I’ve been harboring a girlcrush on this woman. Jiao Jun Yan looks tomboyish but still so cute and beaming with confidence and a level of comfort never before seen. 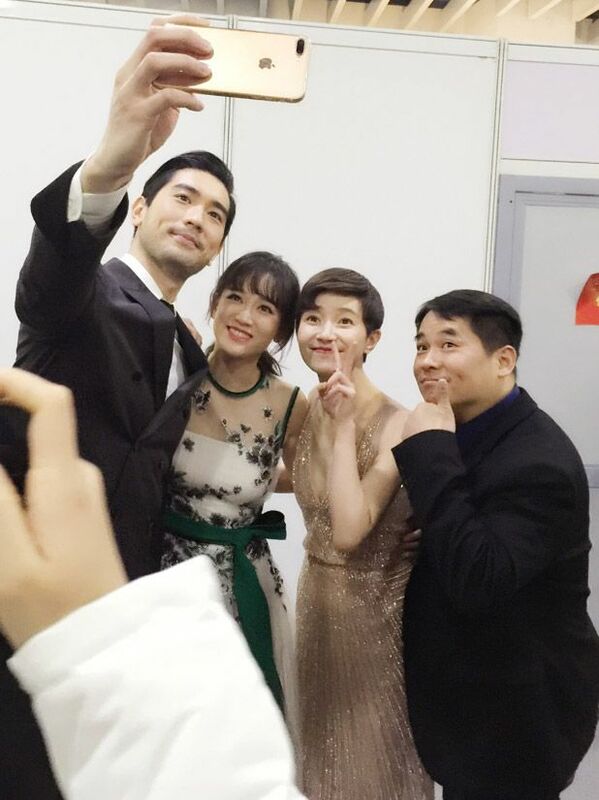 She wants some selfie with Chen Qiao En. HEEE! A tall man intrudes! 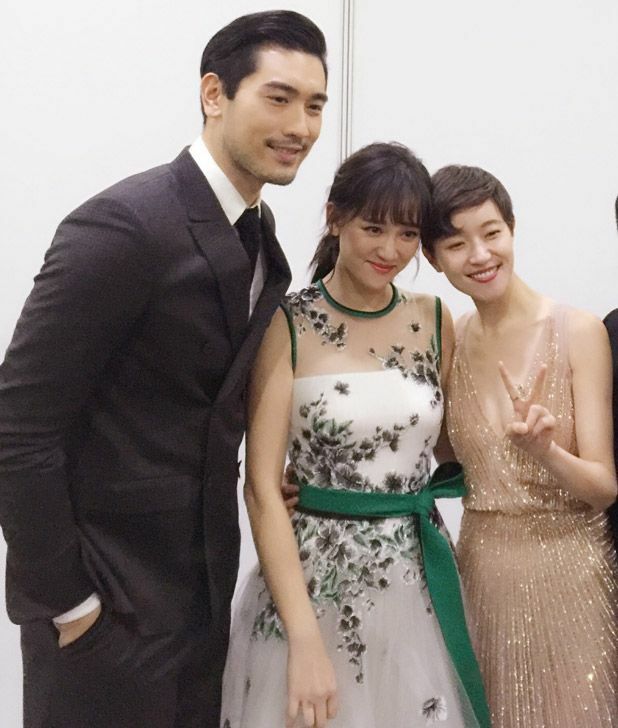 Godfrey Gao reuniting with his leading ladies, one from The Queen of SOP and the other from Remembering Li Chuan (walked the red carpet together). Last crew of the day. The four leads of Princess Wei Young. Anyone notice Tang Yan has this signature pose she always does? Her left leg sticks out. LOL. See the chicken leg pose? XD Luo Jin ah, smile and show some pearls! I LOVE THIS LOOK. The color, the hair, the make-up! Rachel Mao Xiao Tong. Chen Xiang is a lucky man. HEH. They sit together. Luo Jin and his muffled smile. Not used to Vanness’ skinship? LOL. When she changed into another dress and it tripped under her heels. Her man came to the rescue. ;D Let me find that clip! No boo, noooo. You don’t know how to do the heart! HAHAHA. 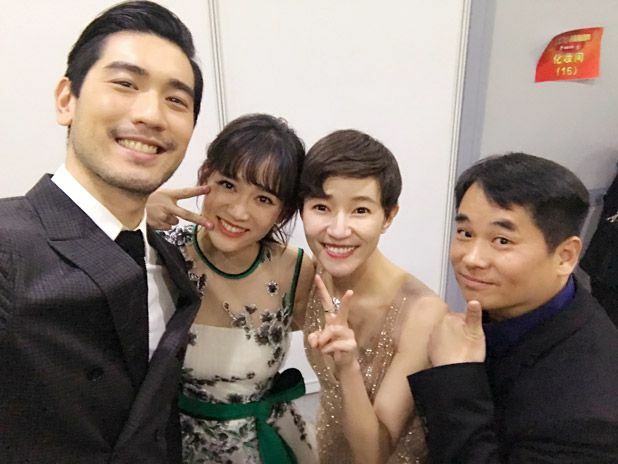 This entry was posted in Awards Show, Entertainment News and tagged Andrew Zheng Yin, Andy Yang Zi, Anhui TV Drama Awards, Chen Long, Cheney Chen, Cheng Yi, Godfrey Gao, Hua Chen Yu, Jiao Jun Yan, Jim Yu Xiao Tong, Jing Chao, Joe Chen Qiao En, Ju Jing Yi, Kan Qing Zi, Leo Wu Lei, Li Yi Feng, Luo Jin, Ma Su, Ma Yi Li, Nicky Wu, Olivia Jiang Yi Yi, Rachel Mao Xiao Tong, Red Carpet, Tiffany Tang Yan, Vanness Wu, Victoria Song, Ying Er, Zhang Ruo Yun by Kappy. Bookmark the permalink. Thank you so.much Nappy for your wonderful post as always. 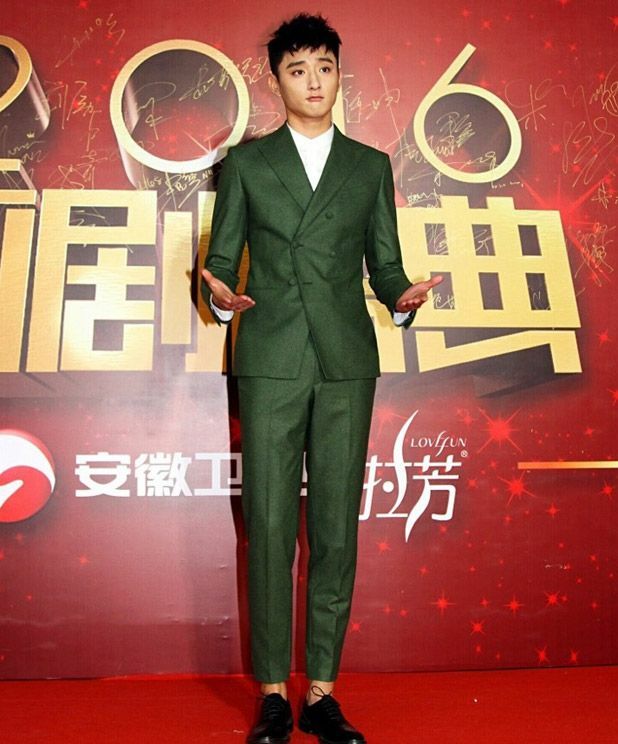 Li Yi Feng costumes was great but again ruined by his shoes? when it comes to Cheng Yi, I agree he looks much better in Ancient costumes and hairdo. Why do I didn’t our cute little bunny Li Ying? Is she not coming? Li Ying is probably invited but too busy to attend, she’s currently enjoying her free days in Taiwan and getting ready to film the new Highness movie. C-celebrity couples are so weird. They denied their relationship status and once they decided to go public, they invite the whole world to their wedding. Even the very private Wallace Huo invited media along too. He looked very uncomfortable at his own wedding. TY and LJ are on the same path. I feel like they are doing many publicity stunt to promote their love for each other. Better milk it while people still care. I love Tang Yan pink dress sooooooo muchh. . ? I saw Yin Zheng from sparrow appears in a few variety show in china. Good for him ^^ hope he receives more drama roles, he is super cute and talented. Lol. Of course, you’re fangirling Serene! Yi Feng looks good recently. 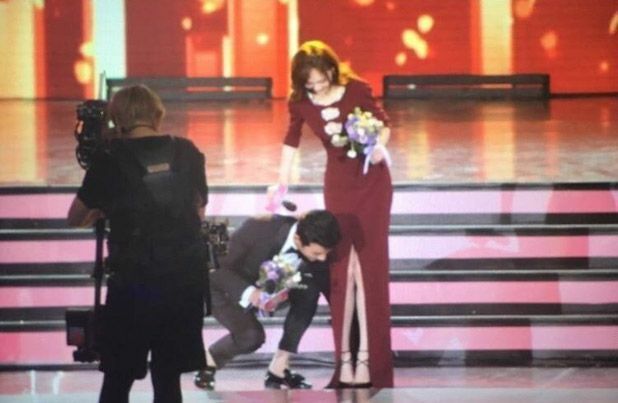 This is like only Luojin and Tangyan’s second appearance together as a couple on an awards show. Of course, people will have their eyes on them when they revealed their relationship. What do you expect? Isn’t it normal for celebrities? what’s up with the actors thats wore tux and no socks? I mean really? First is Winter for god sake. And isn’t a proper suits such as business and tuxedo should have socks? Call me old fashion but I do not dig when the guy wore a full tux with matching shoes and no socks to go with it. I find it a bit dirty and also improper! It’s been a trend for a couple of years now. I’m actually OK with it and always find it amusing – in my head, I imagine these men are wearing footsies like we ladies do when we wear flats. None of you folks think many of the male pants look a tad too short? It looks better to me when ankles are not showing when men are standing up straight for their pics to be taken while wearing formal wear. To me, that’s a somewhat bigger issue than whether or not they are wearing socks. I more surprised by the fact that it’s that easy to observe whether the men are wearing socks. Plus I think cropped trousers/pants are better suited for ladies than gents. As ladies tend to have more delicate features around the ankles. Plus many female celebs wear flashy heels etc. So lots of stuff going on near that part of the body anyway. They are short, but I’m so used to seeing them everywhere inside and outside the entertainment circle that it’s no longer strange. I do agree ladies look better with cropped pants though. I guess I’m not that bothered by the length of the pants compared to the socks. LOL. My brothers (3 of them) all have different preferences when it comes to length, so I’m used to it. Socks gotta be on thought! heh. Thank you for your interesting comments, chasingpolaris and Kappy. I rarely look at anyone’s ankle level in real life. Only in these posts, these ankles are anywhere near my gaze level. That’s why those ankles look funny to me. CL’s wife is v beautiful. Sounds as if there are no or few AVV fans for Ma Su, Ma Yili. So much expensive looking suits and dresses. Beautiful people. That vampire boy confuse me though. lol And the fluffy shoes. And for our miss Tang Yan, her man flies to the rescue. So that’s how you be a man. Gotta learn a thing or two here. Thanks friend. Always enjoy your blogs and love china stars fashion better than the hk stars. Like most of the ladies’ dresses except for Kan Qingzi’s. That blazer and belt has to go. Luo Jin and Tang Yan are stealing the show, just like Nicky and LSS did when they first got together. Everyone naturally wants to know when they’ll get married. Tis how the industry works. *shrugs* I’m just glad to see that he’s very in love with her. Girl got herself a good boyfriend. Li Yi Feng looks cute. Just not the shoes. I’m really liking all the full skirts — very princess-y. Also love the full skirt + gradient color (esp Mao Xiao Tong’s and Ju Jing Yi’s). I’m surprised at how grown up Jiang Yi Yi looks, since I’m so used to seeing her in kid roles. Yeah their gowns are very princessy. Nice ones .. I laughed at LuoJin’s attempt at the heart sign. Long way to go! Love Tangtang’s hair bun. Tang Yan and Luo Jin are my favorite couple and they looks so happy together. Tang Yan in the pink dress looks gorgeous and very pretty. Of course Luo Jin looks handsome as always. I hope to see them together as a couple in more events. Thank you for posting them Kappy! It’s the first time Victoria wore a princessy dress right? Here’s the compilation clip of TangJin couple! Other updates will have to wait. Lol. Thank you Kappy. They seem very in sync with each other. Now I don’t have to wait until 1/1/17 to watch this. Happy holidays to you and happy New Year! But then you can watch it in HD on 1/1! =D All the swoony moments. But this fan is very dedicated to TangJin couple, following them everywhere. Lol. Love Rachel Mao, Ying Er and Yang Zi’s dresses! So elegant ethereal ! 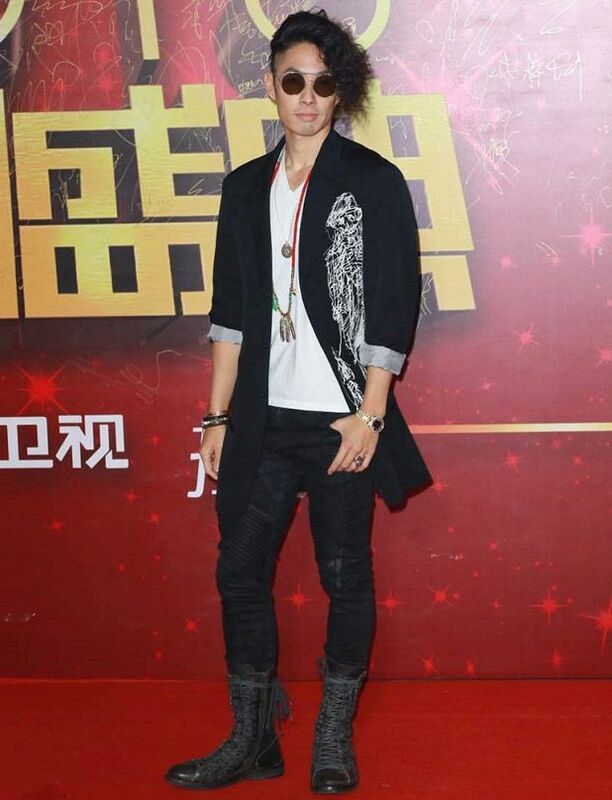 Zhang Ruo Yan been looking kinda weird lately. Did he lose his baby fat or something? Or the lighting of the photos. He looks kinda different in angles. Or is that just me? And I really do like TangJin couple and they’re on that list with Wallace/Ruby, LSS&Nicky for me. I don’t know they just seem to fit each other and I really hope they last long. And btw I never find LuoJin handsome but he’s dazzling in here. He’s in love, that’s why! 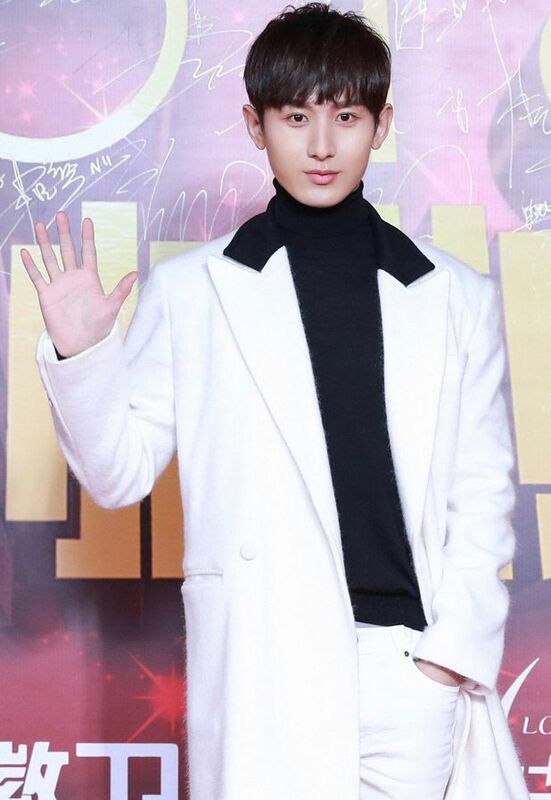 I’ve been following Zhang Ruoyun’s weibo and The Fated General’s weibo…his hair is shorter since he went to Paris for the Victoria Secret Fashion Show on behalf of Tencent QQ at the end of November. Healso did several photoshoots there (not for Victoria Secret). 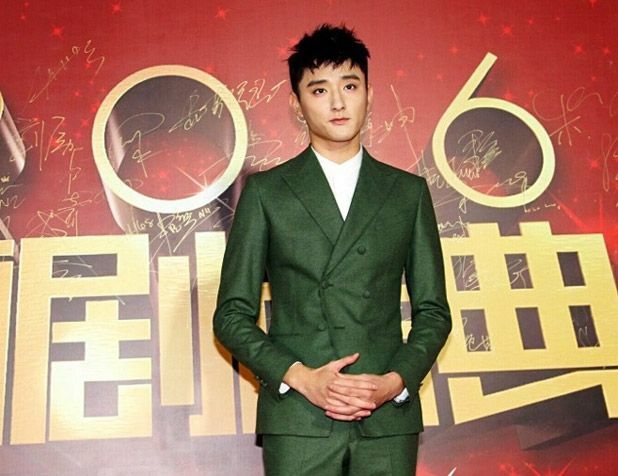 He had attended the NetEase Attitude Awards just 2 days before the Anhui one, and the QQ Star Awards just 12 days ago. Wouldn’t be surprised if he’s gotten thinner due to his filming of The Fated General. Sand storms and very cold weather conditions. He mentioned falling/being thrown off his horse during filming…several others (professional and actor/actress) too. Oh wow, okay that would explain it. Thanks! Hope he stay healthy! I’m glad he rose this year but health is important. Your welcome. He seems to be flying back and forth constantly ever since he began filming The Fated General. Fans managing to take snapshots of him at the airport. Also, the drama’s weibo had recently posted photos of the actors/actresses wearing their distinct hand muffs. Rachel Mao looked so gorgeous! 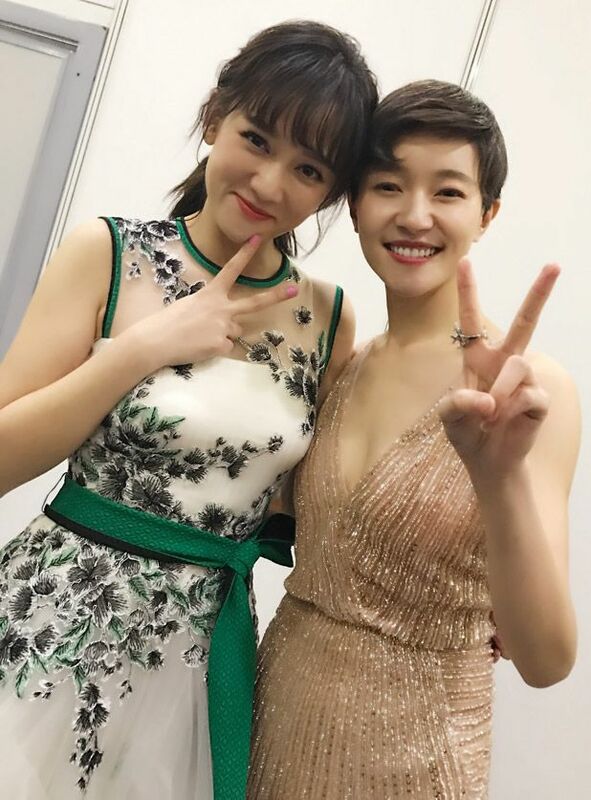 Wow alot of pretty dresses again – i feel like our eyes are spoilt with all the gowns from award shows this yr end..
Kappy, did you read or hear latest buzz and gossip- rumoured Wang Kai and Chen Qiao En dating? Lol. I did. It’s included in the gossip section of this week’s news batch (heh) but I’ll answer it here: Nick clarifies the rumors at today’s press conference for Railroad Tigers. They are only good friends. She brought along her parents and some staff to visit somewhere in Hubei province (?). Since his parents know the area very well, they acted as hosts for the trip. Omo thats too bad.. here i was thking another ship has or might set sail. With Ruby lin and Michelle finding their happily ever after, then Tang Yan .. was hoping for love blossoms for our Qiao En too. You should also count Raine Yang in that list! LOL I heard somewhere that Qiao En is super workaholic but she should settle down soon too since her group age is all marrying off. 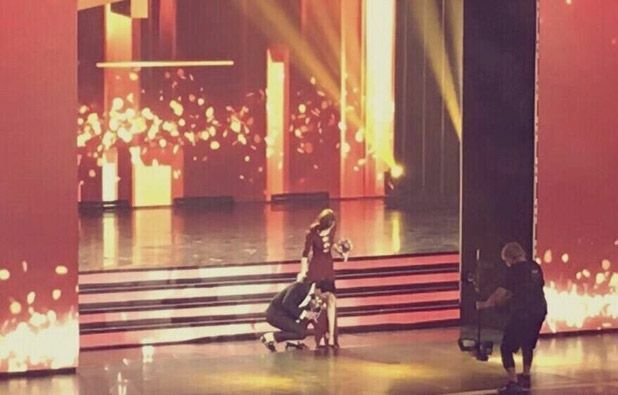 I mean even the queen FBB got herself a man.